91 Magazine first began after Caroline Rowland, the creator started to feel a disconnect from the mainstream interior magazines. So began her journey to find inspiration all over again. By 2011 the first addition of 91 Magazine was first published. Buy a single copy or subscription to 91 Magazine. 91 Magazine is an independent lifestyle publication which is set on showcasing attainable and affordable home interiors. So, if you’re after realistic styling tips for your own home or want to find a fresh spark of creativity for your small business. Each magazine covers all aspects of creative living. You’ll soon be inspired by the space around you. 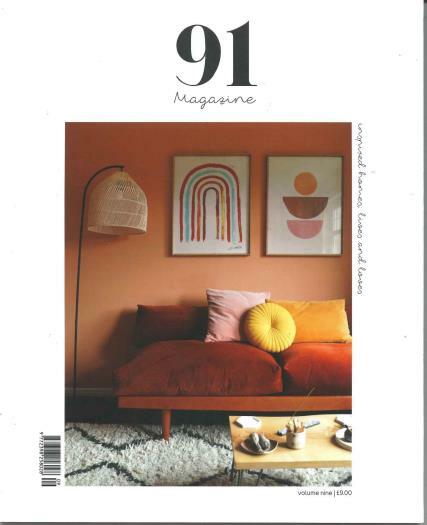 91 Magazine is now a biannual print magazine, filled with the very latest interior trends.